Shin Megami Tensei: Strange Journey might be one of the greatest examples of fanservice ever made. 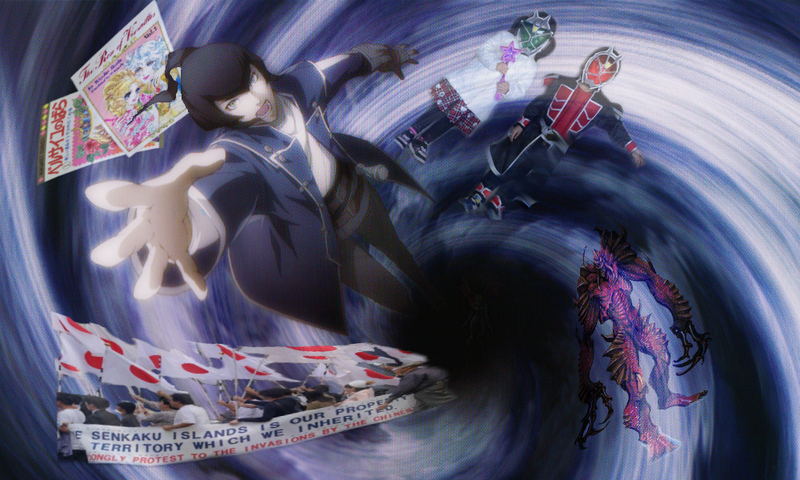 In a genre where “fanservice” usually means crass pandering with skimpy outfits for female characters or other brazen titillation, Strange Journey instead provided its ravenous fans with more of what they already loved about Shin Megami Tensei: creative direction from Kazuma Kaneko, more demons, mature characters, an original setting, and proper apocalyptic atmosphere—a true SMT game in every sense. Neither the limits of the Nintendo DS hardware nor the series’ usual rough edges would suppress Strange Journey’s understanding that the greatest fanservice is respect for its audience. There’s just one big problem: Strange Journey under-performed at retail relative to other games in the franchise and in spite of being on a platform with a large install base, moving only 127,946 copies in Japan. To add insult to injury, Persona 3 Portable, the second re-release of Persona 3, was released in Japan only a few weeks after Strange Journey’s launch and completely outclassed it with 183,283 in sales. The niche Shin Megami Tensei had always relied on was apparently eroding away. 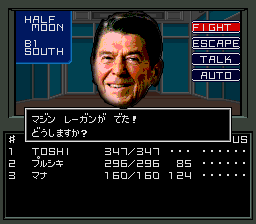 It was in this climate that development of Shin Megami Tensei IV began. "I first started thinking about [SMTIV] once Strange Journey, which came out October 2009, was finished," said SMTIV’s director, Kazuyuki Yamai. "I've been hearing from fans who wanted an 'official' SMT sequel for ages, and we thought that we were finally at the point as a team where we were mature enough to tackle the job, so that's how it got started." So much like what happened with Persona, a new generation of creators would take hold of Shin Megami Tensei with a fresh, modern approach. But amid changing tastes, how much of SMT’s old identity would have to be sacrificed to bridge the series to the new players it so desperately needed? Though Shin Megami Tensei is far from mainstream, it wasn't long into its history that it began experimenting with spinoffs to reach different audiences. Shin Megami Tensei if…’s 1994 release traded nuclear devastation for a high school setting that served as a hub for abstract dungeons and a focus on the eroding psychological health of its villain—a much more intimate subject than previous games, establishing that “the side games… [treated] smaller themes compared to mainline [SMT].”  The second major spinoff was 1995’s Devil Summoner, a mix of detective pulp and occult matter which “was kept relatively simple and straightforward so that players could enjoy the story as it unfolded." Though narrower in scope, these spinoffs were still clearly cut from SMT’s cloth. Of course, there was another spinoff, 1996’s Persona, which saw the potential of SMT: if...'s high school setting and psychoanalytical concepts and ran with them. Its very title and central concept refer to the work of Carl Gustav Jung, famed psychoanalyst, and don’t stop there: terms like Shadows, Philemon, personas originating from a "sea of the soul," and many other premises and interpretations derive from Jung's work. The psych angle was a natural fit for the Megami Tensei franchise, as Jung is still known for popularizing the psychological interpretation of myths and the religious experience. What were once gods and monsters physically manifesting through computers could now be personality-changing "masks" originating from internal rather than external sources, without the need of technology. But it would be naive to say that the creation of Persona was entirely for the purpose of exploring psychological matters. Kaneko admits that, compared to the main series, “Persona was geared towards a younger audience." The switch to casts of high schoolers and a heavier story and dialogue focus was all about appealing to different demographics. This turned out to be a seemingly magic formula, as adding a more relatable human element to Megami Tensei's modern settings paved the way for the breakout hits of Persona 3 and Persona 4. But what exactly is behind the popularity of these modern Persona games, and how would their success impact Atlus and the Shin Megami Tensei series as a whole? 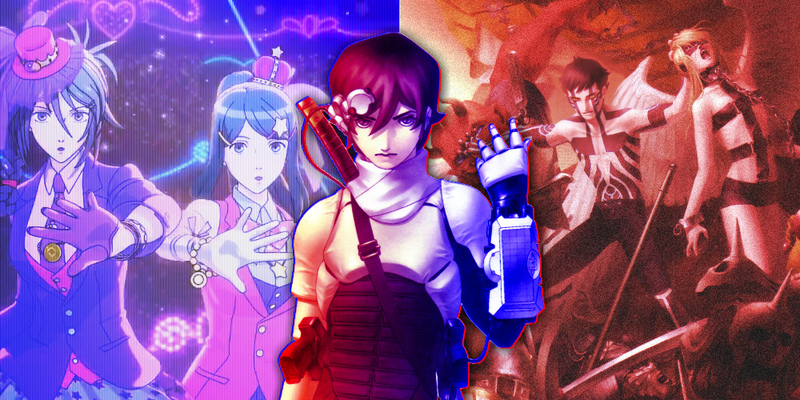 Shin Megami Tensei has thrived on being different than the RPG standard. Mixing the modern megalopolis with abstract concepts, mythological themes, and at times theologically challenging material, SMT created for itself an identity distinct from its fantasy contemporaries. According to series artist Kazuma Kaneko, “Back then we were in this sort of competition with Dragon Quest and felt the need to do something different from the others. If they were Babyface,[i.e., a well-liked hero] then we felt we could only be Asian mist. [i.e., an illegal move thrown by the hero's rival]”  In another interview, he expounds, "I like to think of Shin Megami Tensei games as rock stars or singers in punk bands whereas blockbuster games like Final Fantasy are more like the Academy Award winners." SMT stood toe-to-toe with a crowded genre’s juggernauts due to unique features and a subversive attitude inherent in its presentation and gameplay—for better or worse. SMT fully embraced that it was neither the prettiest nor the best-selling, earning itself a comfortable niche where its creativity could shine. However, the gaming landscape has changed significantly since the days of the Super NES or even PlayStation 2, inside of Japan and out. While Dragon Quest and Final Fantasy are still big, they've also become diluted through their own ubiquity with spinoffs galore and main series releases that seem fewer and farther between. Countless mainstay publishers of yore have either been absorbed, shuttered, or changed focus from games to health clubs. With mobile markets contracting the traditional games business, the way in which the majority of consumers perceive and play games has been substantially impacted. 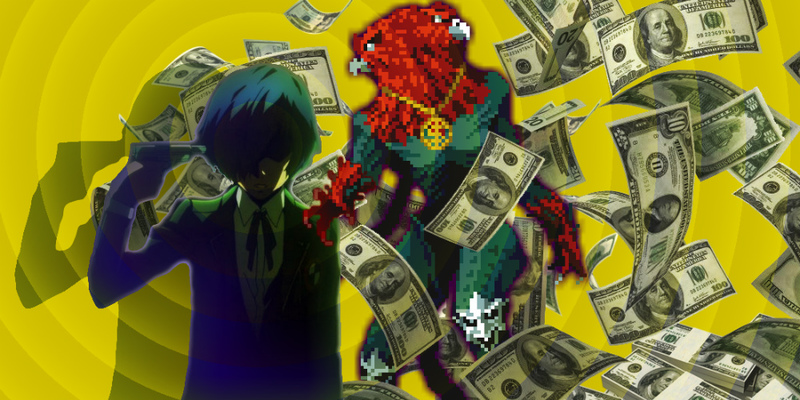 Needless to say, Atlus needs more than Shin Megami Tensei’s niche to survive. But in this uncertain environment, or perhaps because of it, an unexpected RPG star has risen to prominence: Persona. Beyond merely revitalizing a genre, Persona’s expanding popularity has commanded great influence, as evidenced by abundant copycats imitating its style and mechanics. At last, the Megami Tensei franchise, even if only a spinoff, was the one dictating the trends. But being overshadowed by Persona in every respect has left the Shin Megami Tensei main series in an awkward position. How can it embody a rebellious spirit when its own child is the definition of what’s en vogue, with much of its own DNA in tow? Ostensibly, the answer to that question is Shin Megami Tensei IV, a paradoxical game eager to follow the trail blazed by Persona’s success, but containing a number of reactionary decisions in its design work and thematics that are contrary to the series’ identity. With the series at a crossroads where some measure of adaptation to survive is inevitable, significant questions emerge: What is Shin Megami Tensei’s identity—and can it survive beyond the niche?